Whether it is a cup of plenty or the container of Christ's blood, the Holy Grail has always been a symbol of aspiration and longing. This volume surveys representations of the Holy Grail in literature, art, and film from the Middle Ages to the present day. A substantial introduction tracing the development of the legend is followed by a 200-item bibliography and twenty critical essays, seven of which have been written specially for this volume. The motifs of the Grail, the Quest, the Waste Land, and the Fisher King are explored, as well as the characters of Perceval, Lancelot, Galahad, and Joseph of Arimathea. Specific topics discussed include the origins and symbolism of the legend; the visual treatment of the legend in medieval manuscript illumination and in pre-Raphaelite painting; and the narrative treatment of the legend by medieval writers in French, German, and English, by nineteenth- and twentieth-century poets, and by twentieth-century novelists and film-makers. 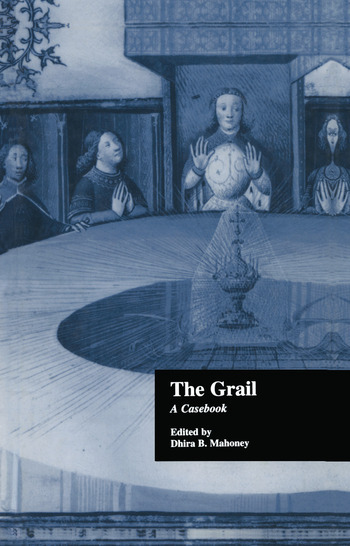 "...surely one of the most valuable [works] to date, and the first I would recommend for library collections and to individuals interested in the high and (sometimes even un) holy history of the Grail."